This is the first installment of PolGeoNow's On the Ground, a new series of exclusive photo essays on what political geography looks like in the real world. Whether it's borders, nationalism, or other geopolitical phenomena, we'll bring the on-the-ground situations to your screen in vivid detail. 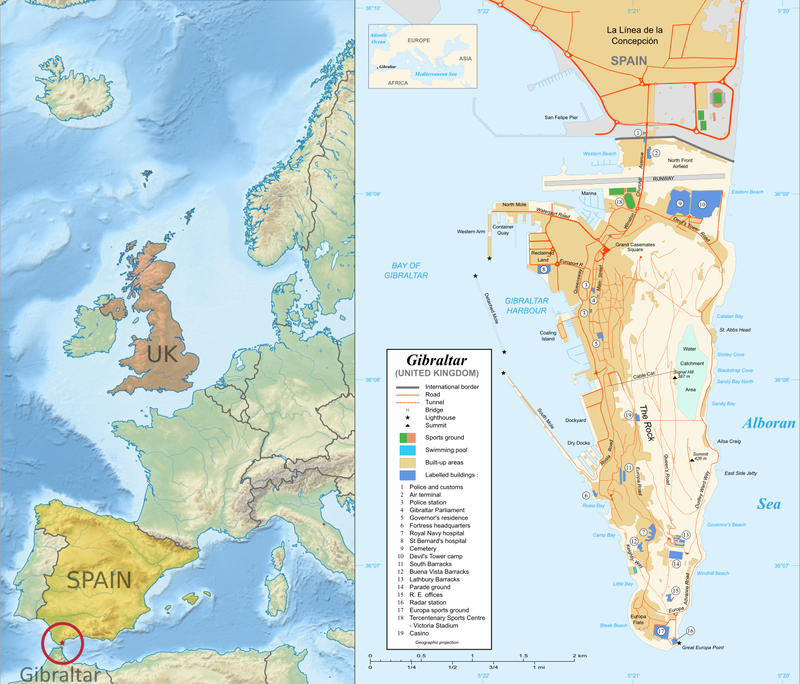 Update 2016-06-24: Gibraltar on Thursday voted in favor of the UK staying in the European Union, by an incredible margin of 96% to 4%. 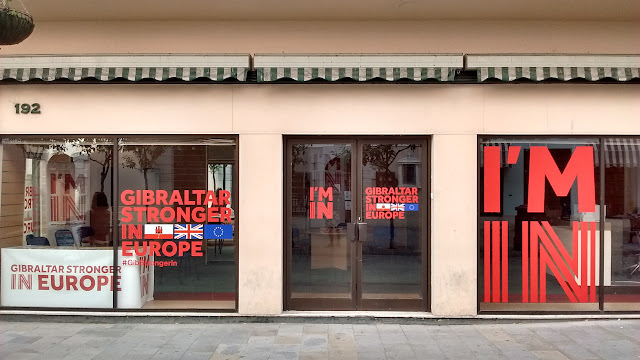 However, the UK as a whole voted to leave the EU, meaning that Gibraltar can expect to get pulled out with it, against the wishes of the Gibraltarians. Subscribers click here to view this article in the ad-free members area. Not a member yet? Learn about PolGeoNow subscriptions! Last month, PolGeoNow's Evan Centanni and Meihsing Kuo visited the small British territory of Gibraltar (pronounced "jih-BRALL-ter"), one month ahead of the UK's referendum on whether to leave or remain in the European Union (EU).